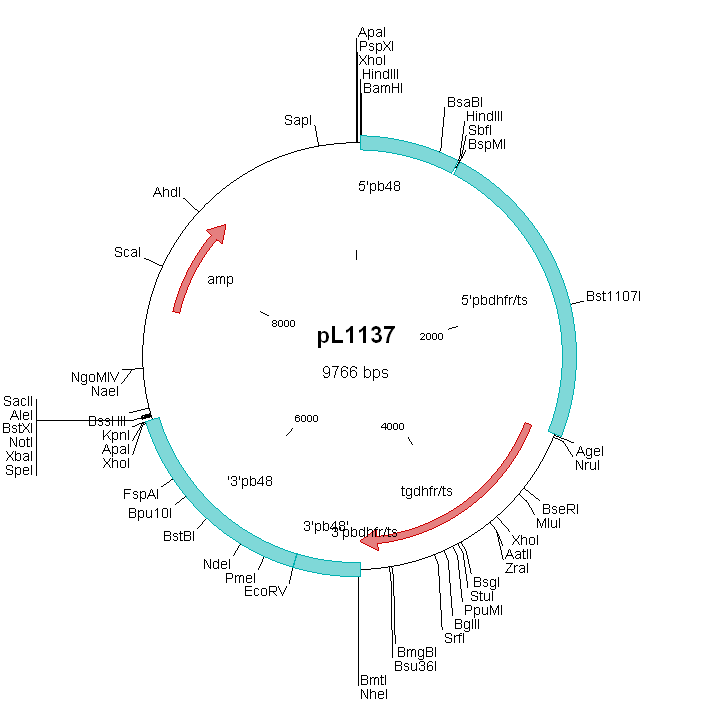 Other information parent line P.berghei ANKA 507cl1 (RMgm-7) is a reference ANKA mutant line which expresses GFP under control of a constitutive promoter (PubMed: PMID: 16242190). Gametocyte/Gamete Male gametes are strongly affected in their fertility, resulting in nearly complete inhibition of ookinete formation in vitro (>0.99%); Motile males fail to attach to and penetrate female gametes. Mutant female gametes are fertile as shown by cross-fertilization with wild type male gametes. Mutant parasites produce low numbers of ookinetes in vivo (Anopheles stephensi). See also 'Additional remarks phenotype'. Fertilization and ookinete Male gametes are strongly affected in their fertility, resulting in nearly complete inhibition of ookinete formation in vitro (>0.99%); Motile males fail to attach to and penetrate female gametes. The mutant lacks expression of the P48/45 protein and expresses GFP under the control of the constitutive eef1a promoter. The P48/45 protein (PF13_0247) is a member of a small family of proteins, the 6-cysteine (cys) family of (surface) proteins (Thompson J. et al., Mol. Biochem. Parasitol. (2001)118, 147-54). The proteins are characterized by domains of roughly 120 amino acids in size that contain six positionally conserved cysteines (6-cys). Although some species of Plasmodium (may) contain unique members of the 6-cys family, ten members have been identified that are conserved both in structure as well as in genome organization throughout the genus (Thompson et al., 2001). Some of the conserved 6-cys proteins are encoded by genes that form paralogous gene-pairs which are closely linked in the genome separated by less then 2 kb of intergenic region. Most members have a GPI anchor and are predicted membrane surface proteins whereas others appear to be secreted and most members are expressed in a discrete stage-specific manner in gametocytes, sporozoites or merozoites. P48/45 is a surface protein of both male and female gametes and is considered as a major candidate antigen for development of a transmission blocking vaccine. Phenotype analyses demonstrate that P48/45 plays an important role in fertilization (male fertility factor). Motile males fail to attach to and penetrate female gametes (see phenotype description). Mutant female gametes are fertile as has been shown by cross-fertilisation with wild type male gametes. This mutant shows the same phenotype as mutant RMgm-15 which has been characterized in more detail. This mutant has been generated to be able to distinguish the female gametocytes and ookinetes based on their high GFP expression in cross-fertilisation experiments with fertile males of other mutants (see below). Mutants lacking expression of P48/45 are frequently used in cross-fertilization studies in which the fertile females are used to test the fertility of males of other mutants (Khan et al., Cell (2005) 121, 675-87; Raine, J.D. et al., PLoS Pathog (2007) 3,e30). These mutants show very low levels of fertilization with higher fertilization rates in the mosquito than in in vitro ookinete cultures. Mutant parasites produce low numbers of ookinetes and oocysts in Anopheles stephensi mosquitoes (see also the phenotype description 'Fertilization and ookinete'). Both the ookinetes and oocysts show a normal morphology and oocysts produce normal numbers of sporozoites that are infectious to mice. RMgm-345: The mutant lacks expression of the P48/45 protein and expresses GFP under the control of a male specific promoter and RFP under the control of a female specific promoter. This mutant has been generated to be able to distinguish the female gametocytes/gametes and ookinetes based on their RFP expression in cross-fertilisation experiments with fertile males of other mutants and for determination of meiosis in cross-fertilisation studies. Meiosis in zygotes is determined by FACS analysis of the DNA content of Hoechst-stained gametes/zygotes selected based on their RFP-fluorescence. Additional information primer 4 ? Additional remarks genetic modification The GFP gene (1 copy) has been inserted into the 230p locus (PB000214.00.0) by double cross-over integration. Additional remarks selection procedure This reporter mutant expressing GFP does not contain a drug-selectable marker. This mutant has been selected by FACS sorting after transfection based on GFP fluorescence.